The data center is getting bigger and more complex and so too is the asset inventory. Every new asset has an impact on the day–to–day operations of the data center – from power consumption and problem resolution to capacity planning and change management. 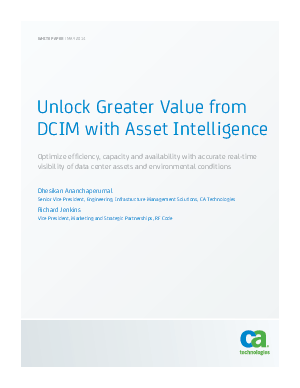 To achieve – and maintain – operational excellence, organizations don’t just need to know the location of their data center assets, they need to know if they are over-heating, under–performing or sitting idle.